Ultra soft, high-tech loop terry. Four-way stretch, moisture wicking, quick drying, UPF 50+ sun protection. 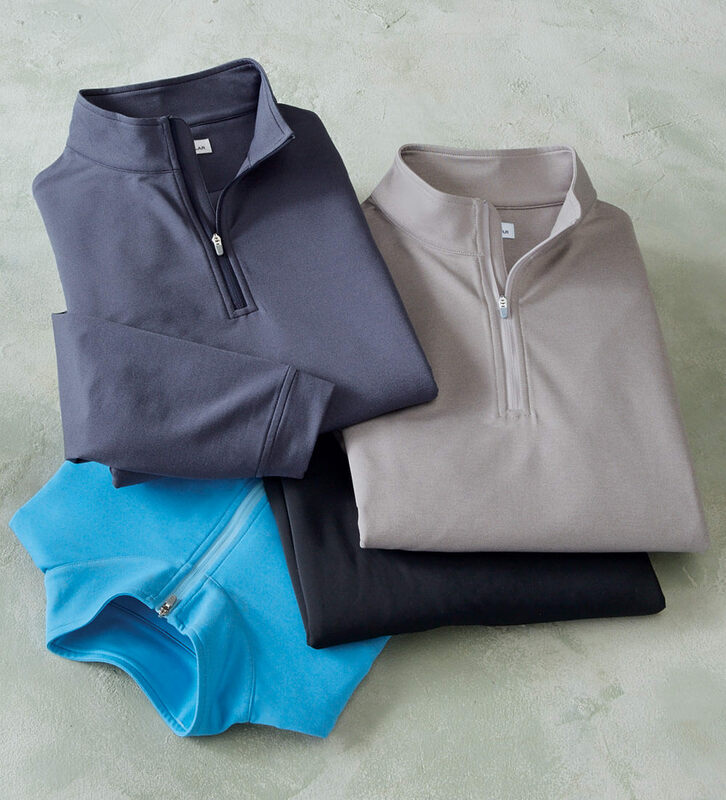 Quarter-zip front, mock neck, banded cuffs and waist. 89% polyester/11% spandex. Machine wash. Imported.